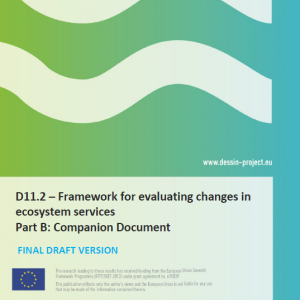 This document provides the theoretical background that was used during the development the DESSIN ESS Evaluation framework and it represents the conceptual basis of the framework. It contains a glossary of agreed terminology that is necessary to conduct the evaluations. Thus, this document should be read carefully before applying the practical steps described in the DESSIN Cookbook.